New Jack City: Behold! 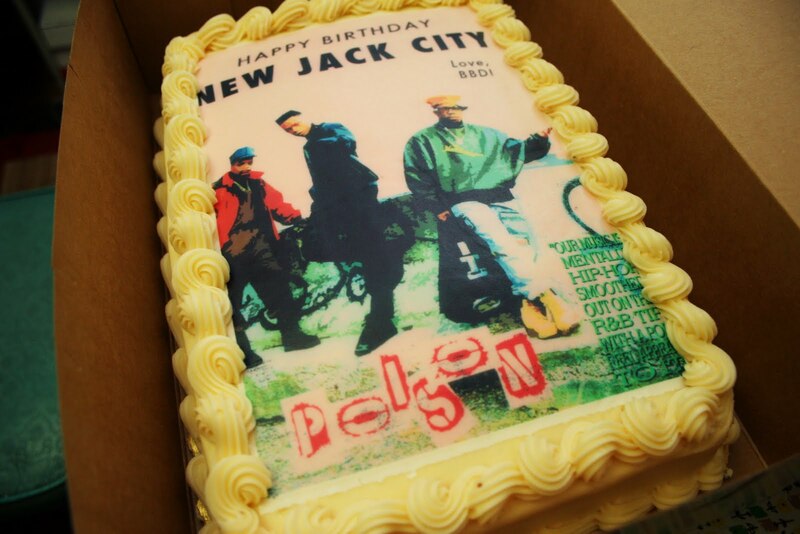 The Bell Biv Devoe Poison Cake! Behold! 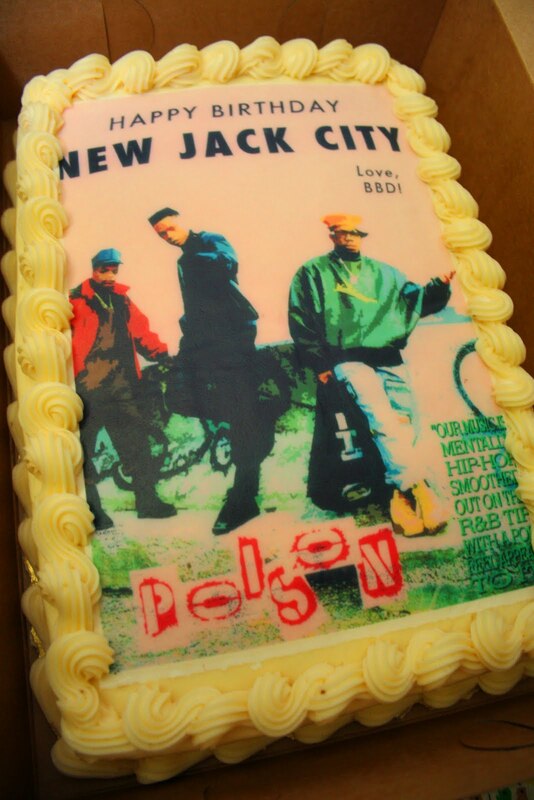 The Bell Biv Devoe Poison Cake! Last month, New Jack City celebrated its birthday in style with a dopetastic throwdown at Langano Lounge. The night was filled with dancing, revelry and precious moments. Most exciting though was this special treat courtesy of our friends Bell Biv Devoe (and on old family recipe). I can say without hesitation that the BBD Posion Cake tasted even more mental than it looks. Thanks BBD! And thank you Portland for bringing your enthusiasm, rhythm and soul to New Jack City each and every month.